The meeting was called to order at 7:14 a.m. by Wendy Moore (University of Georgia School of Law), chair of the Serials Standing Committee. Motion was made by Ismael Gullon (Mercer University School of Law) and seconded to approve the minutes from the Acquisitions Standing Committee and the Serials Standing Committee meetings held at the 2012 Annual Meeting & Conference in Boston, Massachusetts. Motion carried. As more libraries are binding fewer titles every year, there are fewer members who participate in the program. The program has improved the exchange and storage of information in the database, especially the checking of title authority before adding information to the database. Currently the program raises funds through the membership fees and approximately 1/3 of the available funds are expended on the support work of a database administrator. The question at hand is how often the exchange services should be done. It is a lot of work. One option would be to handle the exchange approximately once a year. Wendy Moore stated that she had brought up this issue with the board and that the Serials Committee will submit the issue to the board again. Wendy Moore reported that the survey has been completed and that Damon requests assistance from members who know how to calculate statistics. Volunteer are welcome to help compile and analyze the data for the report. Damon may be contacted at: dcampbell@fcsl.edu. Wendy Moore reported that Carol Nicholson, editor of the AALL Price Index for Legal Publications will continue her role in editing the annual publication as a retiree. Luz Verguizas (Columbia Law School) reported that the Committee for the Price Index for Legal Publications is discussing expanding and changing categories. Examples would be to include e-resource pricing and access options. Comments and concerns about possible changes may be submitted to the Committee. Stephanie Edwards (Roger Williams University School of Law) stated that it would be useful to have electronic pricing data included in the Index. Wendy Moore reported that the project to convert the current List of Law Publishers (formerly AcqWeb) to a blog format to ease the management of the resource has stalled. Wendy stated that Anne Robbins is seeking volunteers and may be contacted via email if you are interested in assisting with this project. Wendy Moore stated that a taskforce from both the Serials and Acquisitions Standing Committees may provide enough people to complete the project as well as accountability to get the work done. Stephanie Edwards stated that it remains a valuable resource. One of the goals of moving the site to a blog format is that it could readily support having multiple editors for ongoing maintenance. Wendy Moore stated that Christine Dulaney (American University Washington College of Law) is the incoming chair of the Education Committee. 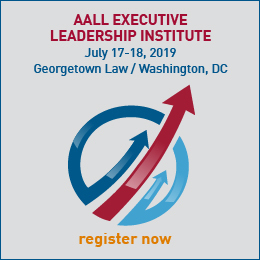 The Committee is considering changes to AALL programming processes and how best to work with AMPC. The AMPC seems to want only the ideas for programming topics and then they would pursue the programming details. Wendy stated that Brian Striman (University of Nebraska College of Law) is not going to leave us alone. Brian is particularly obsessed with programing ideas from the Acquisitions and Serials standing committees. Wendy asked the attendees to push themselves to provide ideas to the Education committee in order to keep Brian at bay. There was much discussion about the LexisNexis Digital Library. Often packages were being negotiated by the main library whereas the law library continues with title by title selections. There was interest in partnering for the cataloging of the West Study Aids. This is limited because law libraries are not purchasing the package. The wide disparity may be due to variation in pricing quotes, though the pricing may be standardized by West soon. Melody Lembke (University of California at Irvine Law Library) suggested subdividing the cataloging work by series. Law school had pushed DDA to its faculty to make use of main campus (University Library) DDA services. Assessing the cost to the law school as yet to be worked out. A law library in Florida negotiated with the main campus library to have all K schedule acquisitions from DDA be billed to the law library. It was suggested that some vendors seem not to have experience working with and for law library needs in this area. ERM systems continue to be useful for managing subscriptions and statistics. There are several libraries who have or are working to deploy open source ERM clients. One library reported that their ERM is overpopulated with titles entered as an access provider rather than for management. It is time to sift out titles that are ‘free’ or that do not require oversight (other than access) by the library staff. OLLARA and ERMes were briefly discussed. The application of ERM systems may be changing due to the availability and implementation of discovery platforms. The result may be that ERMs become more of an internal management resource than a public access tool. What changes to workflow and staff duties have you made this year? Changes have been driven by more electronic acquisitions and less print. Interdepartmental staff sharing is trending (placement of staff shared between library and other law school departments such as communications or web design. More cross training of staff. While centralizing technical services (e.g. Harvard Law) may be discussed, law libraries are also withdrawing from a centralized support model to focus on law school management needs. More collaboration with public services was noted. How are our roles as technical services librarians changing? Technical services staff have contributed to maintenance and creation of finding aids such as LibGuides pages. Direct faculty support is growing. Examples included acquiring copyright permissions and assisting with faculty research. Tech Services librarians are participating more in the marketing of library services. The meeting adjourned at 8:46 a.m. The business meeting was called to order on Monday July 25, 2011 at 7:00 AM at the Philadelphia Convention Center Room 105(B) by Eric Parker, Acquisitions Librarian, Northwestern University Pritzker Legal Research Center. The business meeting began at 7:02 a.m. A motion was made, seconded and carried to approve the minutes of last year’s meeting. Attendees introduced themselves and a sign-up sheet was passed around. Eric got an email from Anne Robbins, who has maintained our own legal publishers’ list this last year. She has set up a mock blog to meet the criteria to update the list. There is a website and she needs people to add publishers. There is a user’s guide, an A-Z list of publishers and a search box. Eric asked for volunteers to help Anne. Eric will help and Wendy Moore and Ajaye Bloomstone also volunteered. Anne asked for input on how large to make the comments section. Eric suggested that they work on the website for several months and then turn it over to the TS-SIS webmaster. He might be able to link to it from the TS-SIS website. The address is http://legal-acquisition-forum.blogspot.com/. They are now available on a webpage with the ALL-SIS password, not the regular AALL password. Is there a better solution? Ismael Gullon suggested using the TS-SIS embedded password instead of the ALL-SIS password. Eric will ask the TS-SIS webmaster, if it can be done. CRIV has a chair, vice-chair, nine members and a non-voting Executive Board liaison. Their mission statement is on the AALL website. The committee’s goals are education and advocacy. They help with complaint resolution and publish the CRIV Sheet. CRIV tools are available and there are suggestions for dealing with vendors. The Committee selects a product for the Best New Product Award. They sponsor a vendor roundtable and colloquium held today in room 111(B) at 12:15 PM. They propose programs for the annual meeting and are looking into presenting webinars. The committee encourages vendor compliance with the AALL Guide to Fair Business Practices for Legal Publishers. In the coming year, the committee will be working with the new Vendor Liaison. They are not sure just how CRIV will work with the Liaison. The Liaison is the chair of the Vendor Colloquium Working Group. 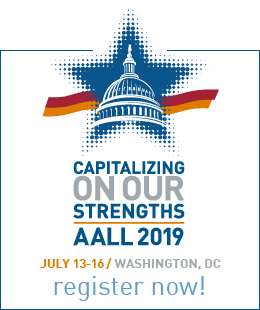 The Chair will take suggestions to the AALL Board and CRIV will help implement them and look at new products. Contact Shaun, if you have a complaint with a vendor. Their new website has a link to make a complaint or email Shaun directly. Last year CRIV handled 16 major complaints. Eric asked for ideas for 2012 programs. The AMPC deadline is September 15. The TS-SIS Education Committee has an August 15 deadline and they will work with you on a proposal. The contact is Jim Mumm, the Chair of the Education Committee. An in-depth program on RDA training. Usage statistics for electronic packages. Law for Technical Services librarians without JDs. If members are interested in speaking at one of these programs, contact Ajaye. The Business Meeting was adjourned at 7:42 a.m. The Roundtable Meeting began at 7:43 a.m. Each attendee gave a State of their Library report. Eric proposed a survey on what libraries have done to cope with budget cuts and cancellations. He did a survey in his area for collection development purposes. Ajaye suggested that it be put into a Google Docs spreadsheet. Wendy Moore suggested Survey Monkey. Eric will share his survey with the list of attendees and members. Shyama Agrawal and Damon Campbell volunteered to help. The Roundtable was adjourned at 8:30 a.m. The business meeting was called to order on Monday July 12, 2010 at 7:00 AM at the Colorado Convention Center Room 604 by Ajaye Bloomstone, Acquisitions Librarian, Louisiana State University Paul E. Hebert Law Center Library. The business meeting began at 7:06 a.m. A motion was made, seconded and carried to approve the minutes of last year’s meeting. Give the gatekeeper our content and let them put it up. The content has not been updated in their format. Take an offered spot on the editorial board. Cut ties and perhaps put the content into Google Docs, which could become a webpage on our own server. Anne is in favor of option three. If it is left with ALA, will they keep it up? The group consensus is option #3. It could hang off the TS-SIS website. Volunteers for the project are Wendy Moore and Julie Stauffer. Emerita Cuesta, new co-chair of the Professional Development TS Committee, says their mission is to produce professional development programs for those who cannot attend AALL. They want more acquisitions programming and will be setting up a webpage for content. She foresees that the Committee will have a permanent platform for classes. The Collection Development Policies report was given by Ajaye. ALL-SIS has collected 191 policies and they are not password protected anymore. She asked if there were any objections to linking our policies website to theirs. There were no objections. Eric Parker mentioned that the policies on the TS Acquisitions website need to be refreshed. Let Ajaye know if there are any broken links. Eric and Wendy will email participating libraries to update their policies. Eric said that NELLCO has developed USS as a back office system rather than using an ILS and what might be the effect on libraries? Anne suggested a program on libraries running a law search discovery service with the main campus system. Lisa Arm mentioned that Boston College Law Library won’t see their library’s records on their new catalog WorldCat Local. How can they make their catalog more relevant? Pat Roncevich talked about developing more faculty services as a method for keeping our jobs. Lisa asked how long will checkin jobs last? How will they morph into other jobs? Technical Services staff is taking on jobs outside their area, some of which are not traditional library jobs. Emerita talked about the skills we’ll have to learn and require of new hires. Technical Services will have a new identity. Other topics she mentioned were “Best way” to do things, digital library management, RDA, digital repository issues, new hires (since many librarians are retiring), getting back to basics and law cataloging workshops on electronic resources, etc. Ajaye asks if anyone has ideas to bring them to the Education Committee and they will help you with it. Emerita asks for suggestion for online programs for the Professional Development Committee. Ajaye says that this is her last year as Chair of the Acquisitions Committee. Eric Parker will be the new Chair. The Business Meeting was adjourned at 8:00 a.m. The Roundtable Meeting began at 8:01 a.m. Introductions of every attendee present along with a state of their library report were made. Many libraries are dealing with cancellations, cutbacks, furloughs, areas of the library taken for non-library purposes, hiring freezes and many other problems.